ATLANTA, MARCH 25, 2019– MILES IS HONORED TO WELCOME REX SMITH TO ITS PANEL IN ATLANTA. Rex D. Smith joins Miles as a mediator, arbitrator and special master specializing in complex business/commercial; personal injury; construction; products liability; wrongful death; professional negligence; medical malpractice; aviation; contract disputes, insurance, nursing home litigation, and premises liability. Smith comes to Miles from Henning Mediation & Arbitration. 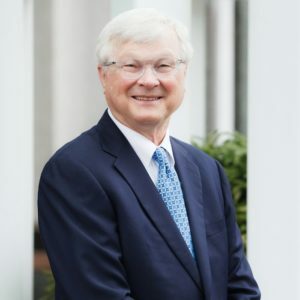 During Smith’s 30+ years of active law practice, he tried over 100 cases, had a strong trial and appellate practice, and represented Delta Air Lines in over 300 litigated matters until he devoted his practice exclusively to mediation, arbitration, and special master assignments. Smith is a charter member and executive board member of the National Academy of Distinguished Neutrals. He is rated AV Preeminent by Martindale-Hubbell, which indicates a demonstration of the highest ethical and professional standards and is the highest rating a lawyer can receive. Click here to view Rex Smith’s bio and online calendar.